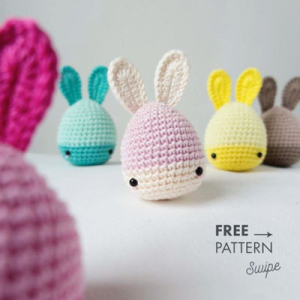 Very simple crochetting toy lesson — bunny egg free Amigurumi pattern. Dear authors, if you are against posting an entry with a link to your pattern — please write in the comments. I will definitely delete.